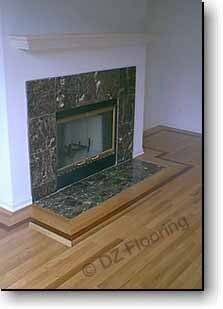 DZ Flooring has over two decades of experience in both the residential and commercial hardwood floor industry. We are knowledgeable in the field and can answer any questions that you may have pertaining to your hardwood floors. Installation and Repairs - We install it right the first time. Sanding Staining and Refinishing - We know how to finish it correctly and safely. Maintenance and Recoating - We protect your flooring and postpone major sanding unless absolutely needed. Inspections and Evaluations - Honest and unbiased inspections...We will not inspect then offer to correct what may be wrong. Additionally, we are Endorsed Pergo Installer. Check Price Calculator for the cost of our services. The NWFA Certifications are a way of validating the industry knowledge and expertise. This way we show our customers that we are truly a recognized expert in the field and they can trust us to get the job done right.